The Ministry for the Cultural Heritage and Activities, with the PaBAAC – General Direction for the landscape, fine arts, architecture and contemporary art – and the Biennale di Venezia present AILATI. Reflections from the future, an exhibition conceived by Luca Molinari for the Padiglione Italia at the 12th International Architecture Exhibition. AILATI.Reflections from the future is a play on words, a reversal of the country’s name that opens up a new reading of contemporary architecture in an original and sideways glance at objects, reality and designs (in English, the title would be YLATI). The exhibition offers a bold, knowledge-led haven for reflections of the future delivered to us by reality on a daily basis; the resources upon which Italian architecture will draw to forge new forms of identity and development. AILATI.Reflections from the future unveils a vision of architecture as civil art, attuned both to reality and people, and yet capable of generating solutions for a restless society, a society in the midst of deep-seated change, frightened by the future… and yet a society in which architecture can and should prompt Italians to live the spaces of contemporary life with greater focus and more courage. AILATI. Reflections from the future is divided into three sections. “Amnesia. Italian Contemporary Architecture 1990-2010” is an initial and timelyoverview of Italian architecture during the last 20 years, fostering a sharper and more aware understanding of Italy now. “Lab Italy” is the central portion of this exhibition focused on the present day, where works built in recent years provide a tangible look at high-quality new buildings in Italy, and the types of research undertaken during this time. The works on show are sub-divided into 10 areas, each of which represents an emerging theme in a country questing for new identities and new solutions: Socially aware design; Life below €1000 per square metre; Re-using assets seized from organized crime; Landscape emergency; Community areas; New public areas; Rethinking the city; Archetype/Prototype; Work in progress; and Connexions. “Italy 2050” In a dialogue with Wired Italy (the influent magazine dedicated to big ideas and technologies that change the world), fourteen scientists, thinkers and filmmakers who in their way are building the future share their priorities and bywords for Italy over the next few decades, while fourteen designers offer exclusive visions through their interpretations of the theme. The Italy 2050 section includes a dedicated conference and workshop area. For the 3-month duration of the Biennale, the Padiglione Italia will be transformed into the “Home of Italian Architecture”, as it hosts events, roundtables, and discussions touching on the liveliest and most disparate issues facing Italy today. AILATI. Reflections from the future will also be casting a contemporary eye on the recent past, the incumbent present, and the near future of Italian architecture as part of one continuum, in a ground-breaking exhibition designed by Salotto Buono Studio and Francesco Librizzi whichoccupies 1800m2 of the new Pavilion looking out over theGiardino delle Vergini. The exhibition graphics and corporate identity have been designed by Tank Boys to make the exhibition comprehensible and accessible to non-specialists who’d like to find out more about Italian architecture. 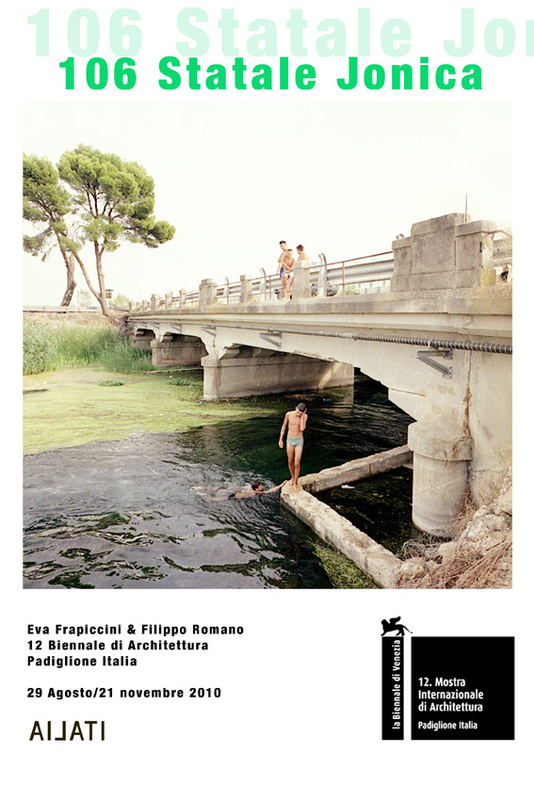 This initial overview of Italian architecture during the last 20 years hinges upon the word “amnesia”, a word that indicates the alarming excision of Italian history, of the experiences that underpin the recent identity of Italian architecture. By referring to Italy’s low estimation of high-quality contemporary architecture, the word is also a provocation. The images, charts and records in this section of the exhibition offer an initial critical reading of this critical historical époque, fostering a better-focused and more aware understanding of present-day Italy. Using a hitherto absent historical and critical approach, it presents the complexities and the dense experience of a period that has seen the passage of different generations of architects and different generations of ideas, running from the later works of several post-war architectural luminaries (Ignazio Gardella, Ettore Sottsass jr., Aldo Rossi, Bruno Zevi, Vico Magistretti, Michele Capobianco, and Pasquale Culotta) to the beginnings of digital culture and two new generations of architects, from the rise of internationally-acclaimed Italian architects like Renzo Piano, Massimiliano Fuksas, Vittorio Gregotti, Aldo Rossi, Paolo Portoghesi and Franco Purini, to the development of viable, contemporary architecture in Italy’s provinces. AILATI. Reflections from the future also highlights the difficulties encountered by contemporary architecture in Italy, where there is insufficient awareness and insufficient support for fine, high-quality architecture, and where commissioning parties in the public and private sector need to be more courageous and invest in works designed by generations of emerging Italian architects. Laboratorio Italia is the central part of the exhibition dedicated to the present day. All works on show in this part of the exhibition are subdivided into 10 different themes that outline emerging issues in a country seeking new identities and new solutions. All of the projects of the exhibition have either been built or are at an advanced stage of construction, offering a tangible overview of quality construction in Italy and on-the-ground architectural experiences around the country. Together, these 10 different themes encompass Italy’s emerging issues and problems, all of which require innovative solutions. Alongside works by architects, the Lab Italy section also features works by artists: Il Parco by Marina Ballo Charmet, Statale 106 by Francesco Jodice, Ritratto di Classi by Filippo Romano and Eva Frappicini, and Sicilia Incompiuta by Alterazioni Video. 1. Quali spazi per le diverse comunità? ma0 / emmeazero studio d’architettura- Ketty di Tardo, Alberto Iacovoni, Luca La Torre, Ampliamento scuola media Lombardi, Bari. Alessandro Scandurra, scandurrastudio, Zurich Insurance Company Italian Headquarters, Milano. Archea Associati, Biblioteca comunale, Nembro (BG). Guidarini & Salvadeo, Centro socio-sanitario residenziale per sordociechi e pluriminorati psicosensoriali della Lega del Filo d’Oro (MI). C+S Associati, Scuola elementare, Ponzano Veneto (TV). Francesco Jodice, Ritratto di classi. 2. Quali le nuove forme dello spazio pubblico? 3. Come si trasforma la città contemporanea? Studio elementare, Kconsult, Sauerbruch+Hutton, scandurrastudio, Studio Italo Rota & partners, Maciachini, Milano. Studio Valle Architetti Associati, Cino Zucchi Architetti con Zucchi & Partners, Canali Associati srl, Chalers Jencks con Andreas Kipar – LAND srl, Architettura e Ingegneria Arup Italia, Topotek1, Quartiere Portello-Fiera, Milano. MAB Arquitectura – Massimo Basile, Floriana Marotta, Abitare a Milano – Via Gallarate, Milano. 4. È possibile costruire in modo solidale? Riccardo Vannucci_FAREstudio, CBF_Centre pour le Bien-être des Femmes et la prévention des mutilations génitales féminines ‘G.Kambou’, Ouagadougou, Burkina Faso. studio tamassociati (Raul Pantaleo, Simone Sfriso, Massimo Lepore), con Pietro Parrino e Gino Strada (EMERGENCY ngo), Centro Salam di cardiochirurgia di EMERGENCY ngo, Soba (Khartoum), Sudan. 5. Cosa fare con i beni sequestrati alle mafie? Santo Giunta, Orazio La Monaca, Leonardo Tilotta, Simone Titone, Nuova sede degli uffici comunali, Castelvetrano (TP). Facoltà di Architettura della Seconda università degli Studi di Napoli “Luigi Vanvitelli” e Associazione Libera Caserta – “Comitato don Peppe Diana”, La rigenerazione delle Case_lese, Aversa (CE). Cangiari, Beauty is different. Recupero creativo di beni confiscati. 6. È possibile costruire qualità a 1000 euro al mq? Christoph Mayr Fingerle, Progetto Castelfirmiano/CasaNova Complesso abitativo EA7 per 92 appartamenti (edilizia abitativa agevolata), Bolzano. Lelli & Associati architettura/Cristofani & Lelli architetti, Residenze “Fornace del Bersaglio”, Faenza (RA). Cherubino Gambardella, I.A.C.P. di Ancona, Ancona fiction, 12 alloggi popolari, Ancona. Greppi&Bianchetti Studio, Social Housing, Chiari (BS). diverserighestudio, casalogica, progetto unitario e nuovo edificio residenziale, Altedo di Malalbergo (BO). 7. Come riprogettare il patrimonio storico? Italo Rota con Fabio Fornasari, Arengario Museo del Novecento, Milano. Renzo Piano e Alessandro Traldi e Maurizio Milano, Fondazione Emilio e Annabianca Vedova, Venezia. Renato Rizzi con Barbara Borgini, Casa d’Arte Futurista Fortunato Depero, Rovereto (TN). DAP studio/ Elena Sacco – Paolo Danelli, Biblioteca civica “Elsa Morante”, Lonate Ceppino (VA). Cherubino Gambardella e Simona Ottieri, RestauroTorre dello Ziro, Pontone d’ Amalfi (Sa). aMDL Michele De Lucchi, Fondazione Giorgio Cini. Intervento di ripristino funzionale della Manica Lunga, Venezia. ELASTICOSPA – Stefano Pujatti Architetti, Atelier Fleuriste e abitazione privata, Chieri (To). Markus Scherer con Walter Dietl, Recupero del Forte di Fortezza, Fortezza (BZ). Emanuele Fidone, Restauro della Basilica Paleocristiana di San Pietro, Ortigia, Siracusa. Davide Vargas, Nuovo Municipio, San Prisco (CE). Piuarch Partners, D&G Headquarters, Milano. 8. Come imparare dagli archetipi e farne dei prototipi? Beniamino Servino, TONO SU TONO. Attilio Stocchi, Bulbo/Rimbalzi. Pietro Carlo Pellegrini, Polo Tecnologico Lucchese, Edificio Lucense, Lucca. Elisabetta Terragni – Studio Terragni Architetti, Gruppe Gut snc, Jeffrey T. Schnapp – Stanford Humanities Lab, FilmWork srl, Le Gallerie – Piedicastello, Trento. Franco Purini, Il disegno della teoria. La Fabbrica del Sole, Modourbano Architettura, Exergy, LA RIVOLUZIONE OFF-GRID progetto pilota nell’ambito del progetto PARCO URBANO ISOLA DELLA CERTOSA (Vento di Venezia, Arch. Tobia Scarpa, Thetis S.p.A.). 9. Come affrontare l’emergenza paesaggio? Marco Navarra, Riparare Fiumare. Programma di auto-generazione per paesaggi e centri urbani stanchi. Progetti per Giampilieri, Messina. Alterazioni Video, Incompiuto Siciliano, un progetto realizzato in collaborazione con Claudia D’Aita ed Enrico Sgarbi, Giarre (CT). Filippo Romano e Eva Frapicini, 106 Statale Jonica. Tevereterno, Il sogno realizzato di Kristine Davis. Cino Zucchi Architetti + PARK ASSOCIATI, Salewa Headquarters, Bolzano. Labics, Museo e centro polifunzionale G.D, Bologna. Vincenzo Latina, Padiglione di Artemide, Ortigia, Siracusa. The Italy Pavilion dialogues with the Italian language version of Wired Italy, the influent magazine dedicated to big ideas and world-changing technologies. Fourteen scientists, thinkers and filmmakers who in their way are building the future share their priorities and bywords for Italy over the next few decades, while fourteen designers offer exclusive visions through their interpretations of the theme, in a forward-looking workshop on Italy as it undergoes profound change and conjures up new visions. Carlo Ratti, Italo Rota, Alessandro Scandurra, Beniamino Servino, and Attilio Stocchi. La strada 106 costeggia il mar Jonio ed è l’unico collegamento tra tre regioni italiane: Puglia, Basilicata e Calabria, una delle parti più belle e più degradate della Penisola. Ognuno dei suoi 491 chilometri, mostra luoghi e paesaggi naturali bellissimi, minacciati e in parte già devastati dall’abusivismo edilizio. Si tratta di territori fortemente controllati dalla Mafa. L’edilizia è purtroppo una delle attività lucrose per i gruppi mafosi che, con arroganza, spesso costruiscono senza rispettare le leggi, lasciando dei segni evidenti della propria presenza sul territorio. La Jonica è come un fume rumoroso,lungo il quale abitano circa 900.000 persone e che se risalito rivela tutte le contraddizioni di un territorio privo di tutela per una natura mozzafato: scheletri di case mai fnite, spazzatura e spiagge meravigliose, sbarchi di clandestini e templi greci, tir nei centri storici. Frapiccini e Romano trovano nel paesaggio i segni di un identità culturale collettiva, che si dibatte tra gli interessi della Mafa e la Legalità. 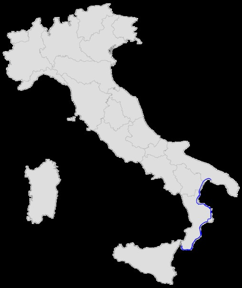 The route 106 runs in the extreme south of Italy along the ionian coast between the regions of Calabria and Puglia. 460 kilometers of beauty and devastations, in one side the natural enviroment, olive trees, oranges and all the tipicals naturals elements of the mediteranean enviroment. In the other side, the abbandon and the devastation done by the humans in a territory where the hands of mafa are the only rules and the crime has left signes of devastation like a knife’s slash on a beauty full face. The route is also called the Reggio Calabria-Taranto, taking the name from the two cities linked by the road. Mile by mile is a sequence of never fnished houses, builded with no permissions, abbandoned factories that never worked, not rules, no esthetics, boxes of concrete and bricks from the outside, to not pay taxes, waiting for a moratorium from the goverment, that sistematically legalized such devastation of the enviroment. The majority of this buildings are done with the mafa money, that reinvest its incomes from the drugs trafking into the construction business. The Mafa interests are devided in two differents levels, building for the single private, or building in large scale like hotels or appartments towers. “Bricks” create jobs and social agreement in Calabria, a region where unemployement is one of the highiest in the Europe. Is a circle where the conspirancy of silence, the so called “omertà”, can hide everything except the landscape, wich is the mirror of way of life and the martoriated skin of the sick body called “Sud Italiano”.